How did you find this site. I often wonder how folks find our community. Whether it be through word of mouth or just surfing. Welcome to all the newbies...care to tell us how you got here? I was just surfing, but I have passed it on through word of mouth. Although not a newbie, I first came here after seeing the OFC sing that TJ erected on hwy #17 many many years ago..
Good on ya...and thank you muchly. I think you know my story Roy, but until about 7 years ago I'd never touched a computer in my life and knew absolutely nothing about them. We had one in the house that my wife used but until then I'd never had any interest in it. I was recentely retired and somebody said I should log onto some fishing sites for something to do in the off-season and my wife explained how to work this contraption. I found my way to Izumi's site and while reading it I came across something called a link, so I clicked on that not knowing what it was and somehow ended up here. I knew nothing about message boards, infact didn't even know what they were, but I started reading this one and I still remember the 1st post I read was Muskystudd talkin about PowerPro....thanks Chris.... .... I'd had some interest in PP so I contined to read and eventually figured out how to log on and the rest is history as they say. I think that I first happened by the OFC when I did a google search on a topic (probably while I was boat shopping). Now I'm afraid, I have somewhat of an addiction. On a slightly unrelated note, as I try to expand my knowledge of the sport I have found as of late that the "search" feature is my best friend. Yeah Lew, your story is kinda like mine. And, while it's great to have the new members we get everyday, It's just really nice to be able to count on people like you as the backbone of our community. I think I found it searching. I first came here after seeing the OFC sing that TJ erected on hwy #17 many many years ago.. I'm sure TJ's erection has impacted many lives. As a member of thefishinglakesimcoe.com board I knew the other members got real uptight if you asked questions of any other lakes etc...Someone posted the OFC site and I gave it a shot as I had retired and was looking to move to the Kawarthas...There was a lot of dissing going on at that time (early 2002) so I got no answer...about a week later I posted my thanks but no thanks..."I can see you boys are too busy flaming each other!" Found it surfing. This was the first forum that I actually posted anything on and it's still the first one to check on each day. Back then Gerritt were you the "Fishless Hamiltonian"? JK there man. If it wasn't for here I would not have met you and many other great people. Thanks for that old link Gerritt, I just took a quick look but it's gonna make for some great reading. Lotsa good memories there and brings back many of great guys that we no longer have posting here. Crudd's name was one of the 1st I came across and I've often wondered whatever became of him. I remember he came to the very 1st ice fishing G2G we ever had a few years back and then he sorta disappeared after that. A little over a year ago I decided to take advantage of the power of the internet to learn something extra about my new hobby. When I took up scuba diving the internet was an invaluable resource and I assumed it would serve at least as well for fishing. 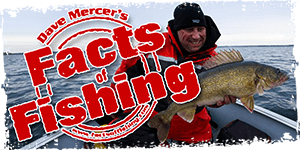 To be honest I don't recall exactly how I got to OFC but it began with a search of fishing forums and newsgroups and eventually narrowed down to this one as being far and away the best in terms of relevant info for an Ontario boy. I'd be hard-pressed to say if it was the wealth of readily shared knowledge or just the hospitable reception that closed the deal. In any event I can't even remember what the other sites were now. This one is enough. My thanks to all who had a hand in it's creation and who now keep it running smoothly, and thanks to all the members who help to make it a good place to visit for the wealth of information, the sound advice, the banter, and in some cases new friendships. I was a member of a few lesser boards, where there wasn't much posting, and wasn't much useful information.. It actually took me a while to find this site, I think I found it through Google.com somehow, most likely searching something relating to fishing, and I ended up here. I was amazed that there was such a happening community relating to Ontario fishing, and I joined right away. I don't post too much, but I love reading reports and seeing what's going on in the fishing community.. I found OFC, on one of the search engines in late 2000 or early 2001. Over the next few months I checked the board periodically, but it wasn't until that summer that I got hooked and became an inmate. The key was a guy named AndyK. He was a newbie who was fishing every weekend and posting reports of his adventures, and misadventures...He made all the rookie errors and was the sort of unfortunate type that things just seemed to happen to... The best part was that he always told the stories with a straight face, without trying to cover-up or explain-away his errors. Although his English is perfect today, in those days it wasn't the best. Sometimes as his stories unfolded I laughed so hard that there were tears in my eyes. I made OFC my home page just so I could follow his adventures. The core group of the board was pretty small in those days, Muskystudd, GaryV and his buddy Alan, Kronic and his buddies, Capt. Hook, Cory, Spiel, Marty, AndyK, Roy and a few more I remember very well like...Mikeo and Canadave...Mikeo liked to tease Muskystudd, but he also started a lot of good threads. The classic was a thread about fishing line...that became a rope...hahaha. When it finally ended I won a hat and tee-shirt for squeezing in the last post. Of coarse I remember Canadave and his famous 2AM rants about politics and life in general...HAHAHA. In 2004, I started searching around the web for different fishing sites and found OFC. I had just bought my first boat...a mistyriver. Found the folks to be very friendly and helpful. Went to my first swill later that year and since then have made many good friends. I googled ''Toronto island pike fishing'' and ended up here. Surfed it up, while searching "ontario fishing".